Scream Factory has sent over more information about their blu-ray release of Larry Cohen's The Ambulance. 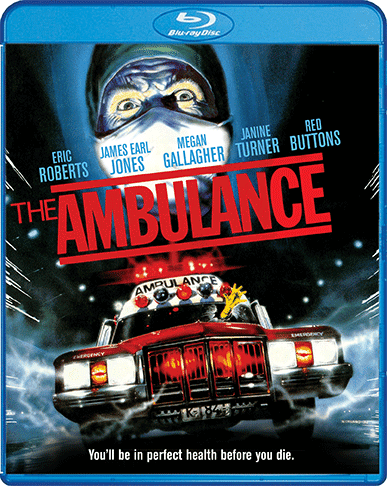 The Ambulance will hit shelves on March 13th. You can also order from Shout! Factory's website and get the blu-ray two weeks early. Below is the blu-ray cover and the film's theatrical trailer.